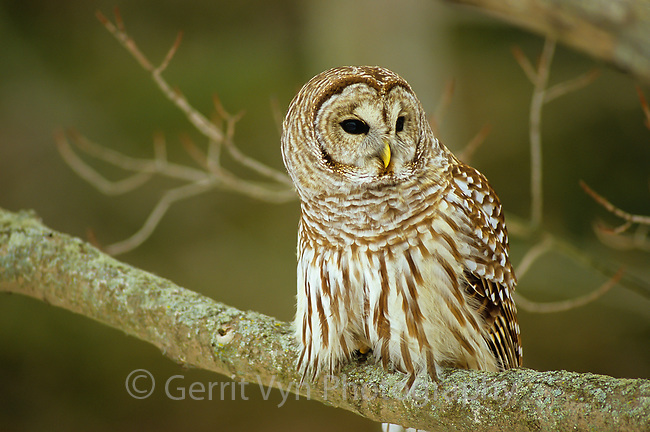 Adult Barred Owl (Strix varia) still hunting on a winter day. When food is scarce Barred Owls from the northern limts of this species range can sometimes be found hunting by day when food is scarce. Ontario, Canada.